On the way home from work the other night, I heard a radio commercial touting a debt reduction system that (supposedly) works like no other. As I drove along, I couldn’t help but chuckle. After all, they made it sound like there’s some sort of silver bullet out there that will magically make your debt disappear — for a fee, of course. Guess what? There isn’t. That’s the bad news. The good news is that, with a bit of hard work and focus, you can do it on your own. What follows are some tips for making it happen. It may sound trite, but the first step in tackling your debt is to admit that you have a problem. Unless you’re willing to own up to your situation and commit to changing it, you’re going to be in debt for a long, long time. If you’re married, now’s the time to sit down and have a heartfelt talk about money. This is a hard one, especially if you’ve become reliant on credit cards for making ends meet. If you want to climb out of the hole, you have to stop digging. If you don’t have the money to pay for something, don’t buy it. Period. If you have to cut up your credit cards in order to make this happen, DO IT. Here, it’s important to understand why you are going into more debt. For some, it’s the unexpected emergency (see building up a cushion below). For others, it’s just steady overspending. One solution is to create and follow the dreaded budget. It’s really not that bad, and there are several different ways to budget. Pick one that works for you. It may take some trial and error, but stay the course and you’ll get into a good rhythm in no time. If you’re planning on living without credit, then you’ll need a cushion to handle unexpected expenses — i.e., an emergency fund. Debt reduction experts, such as Dave Ramsey, recommend saving $1, 000 for starters. Of course, this number might vary depending on your circumstances. If you’re single and on your own, you can probably get away with less than someone with a family. Just remember, as important as your emergency fund is, you shouldn’t overdo it. Build it up, stash it in a local bank or online savings account, and move on. After all, your debts will just keep on growing until you start wiping them out. In the interest of developing an effective debt repayment strategy, you need to know exactly what you’re up against. Develop a detailed list of who you owe, how much you owe them, and the associated payment terms (e.g., minimum payments, interest rates, etc.). Don’t leave anything off. Call the creditors on your list and ask if there’s any way they can reduce your interest rate. As unlikely as it seems, this strategy actually works. No, they won’t all agree to it, but some will. And the worst they can do is say no. There’s been a lot of debate over the best debt reduction strategies. Some say to attack your smallest debts first, whereas others say to focus on those with the highest interest rates. Guess what? How you do it doesn’t really matter. The important thing is to pick a method and get started. In order to stay current on all of your debts, and thus avoid unnecessary fees, send at least the minimum due to each creditor every month. After that, take whatever money you have left over and attack your #1 target. As your debts begin to melt away, you’ll be able to direct more and more money toward your next target. Lather, rinse, repeat. If you’ve made it this far, you’re doing great. Now it’s time to ramp things up. Start by ditching any recurring, discretionary expenses, and cut back wherever else you can. Whatever extra savings you have should be directed toward your debts. So, there you have it. A thumbnail sketch of my magical system for getting out of debt. And it’s all yours for the low, low price of… Free. 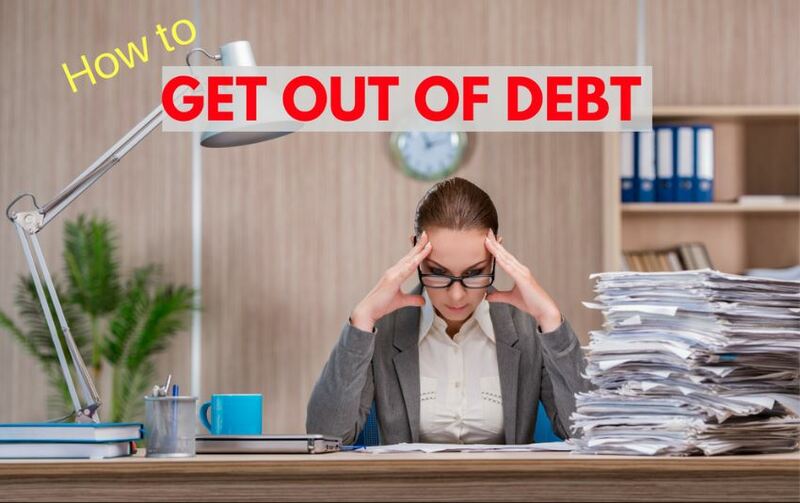 All great ways to get our of debt. Looking for ways to earn extra income has worked for me. thanks for sharing a helpful note as its a time of recession and global fund crisis your tips are so helpful to get rid of debt…. Phoenix Challenge Coins offers a wide selection of military challenge coins, air force challenge coins and much more. Our challenge coins are uniquely finished and perfect to award as a token of appreciation. post from other. It is a useful and charming post.It is extremely helpful for me. I’m no longer positive the place you’re getting your information, but great topic. I needs to spend some time finding out much more or working out more. Thanks for magnificent information I was in search of this info for my mission. I’m still conflicted by the whole debt-snowball idea of paying off your smallest debt first (with total disregard to the interest rates). I know Dave Ramsey pushes this concept in a big way, but it still seems senseless to me. You are right though… It doesn’t matter how you start, you just need to do it! I was in a car crash about 5 years ago. went thu six operations ,have wife & 2 kids. We had no choice but to live off the credit cards until our debt got to high. re financed the home that was almost paid off got a even higher interest loan lived off the credit cards to the max. until they put leans on my bank accounts. I am disabled was denied disablity. got a settlement.wich got my house out of for- closer but the house debt just went up because i guess they changed banks ,i really don’t know. my truck just went to repo with only 3 payments left. i have some money under the rug from my settlement want to invest but can not open bank accounts any where ! I Need Help! Due to illness and then unemployment, I accummulated a large amount of debt. I have been able to pay off about 30% of it so far. One of the ways I did this was to create what I call the Debt Buster spreadsheet. I have posted it on my blog where anybody can download it for free. I will also help anybody who needs it on how to use it. Just post a question and Iâ€™ll answer it as soon as possible. 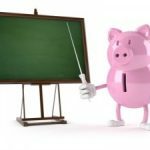 Agreed–the steps to get out of debt (and stay out) are really not that difficult, but the implementation is the hard part. That’s why I always tell my friends to start investing and saving NOW rather than spending everything they make since they don’t feel any financial pressure yet. i mean what’ you’ve said sounds good. OUr clients can’t actually afford their payments without cutting things out like school excursions and family camping holidays. Spend less than you earn! Thanks for the article. I really enjoyed this article. I am surely going to follow these steps to try to get out of debt myself.. While I agree with all of your points, I must say that you are preaching (not in a bad way) to the choir, your audience… a specific demographic of people that are not already in a precarious debt situation. You chuckle at the “program creditors don’t want you to know about”, so often heard on the radio, but the fact of the matter is that if you have a lot of unsecured debt that you can handle… and then there is a sudden death in the family, job loss, sickness, disability, or divorce… the lonely but still alive, viable, working partner, or divorced partner (not being sexist as I am a woman… usually the male’s) current financial situation will be drastically and negatively changed. Debt Settlement is a valid way to avoid bankruptcy, or attempt to, and a viable option for many people in hardship situations. Is it the solution for everyone? Absolutely not! If there is another alternative (side job, odd jobs, overtime)… but I speak to people every day that come to a debt settlement company as a last straw… the one way to potentially avoid bankruptcy. It isn’t a magic wand… in fact its a tough scenario to go through, but in some situations you must think of the bigger family financial portfolio and choose the lesser of two evils. Debt Settlement or Bankruptcy. To top it off, now the creditors are actually contributing to the need for an alternative. Chase just upped their minimum payment from 2% to 5% of your minimum balance. If you have just $5,000 on their credit card your minimum payment went from $100 to $250. If you can’t afford the new payment and pay what you can, you will be considered late. Late? The credit card companies LOVE that for the related late fee, and the ability to raise your interest rate to 29.99%! Until the new creditor laws go into affect in 2/2010 that means that every other creditor you have HAS THE LEGAL RIGHT TO RAISE YOUR INTEREST AS WELL. In that case, what would you do? Take a hit on your credit… or become a “Client for Life” to the credit card company? We live debt-free principles in good times and bad times. I guess our families taught us when we were young. Maybe that didn’t happen for you, but the good news is that you can live that way and teach your children so they can have that security as adults. There are no guarantees in life, but learning to be thrifty can help no matter what. We have never carried a balance on a credit card. If we use a credit card, we deduct it in our check register and when the bill comes pay it to zero. We had to purchase a car once and pay some interest, so to cut that as small as we could, we took extra work to pay it off in one year. So I guess that is how we handle getting out of debt. It becomes THE GOAL, if there is any at all, and we just think about putting all the money on the debt so that we aren’t paying interest or having that payment while the item is losing value. We also evaluate our budget often and trim it where we can. No, we are not obsessed with any of this. We do the math, make the choices and forget it . . . then we sleep good and put our minds on other things. Dave Ramsey has some good motivating seminars that I have heard about from friends. We just became debt free (except for the house) yesterday by following Dave Ramsey’s plan. And I agree with coming up with some extra income. I have been earning some decent extra income by selling handcrafted pendants on Etsy. Nice. All I saw was “Accelerate Your Payments”; sorry for the confusion. The earn extra income link is a great one too. A lot of people don’t realize how easy it is to freelance on the web. Tim: Thanks for the comment. I actually covered those points in the latter part of my post. Nice article. I’d also add another tip: Come up with some new sources of income. Very often, the indebted does not have enough income to stop using credit, so having a garage sale or selling some crafts, for instance, is a good way to cushion yourself during the “digging out” period. Thanks Nickel for addressing this, so many of those commercials sound like a complete scam to me too! I agree with DebtGoal, particularly with having a single location to record all your debts and assets. In the end I found it better to only record minor payments each month and track all assets/networth/savings on only a quarterly basis in a separate table. More than anything, just take a regular look at what you are doing and re-evaluate your direction as it makes sense. Don’t lament over mistakes, because the only mistake that matters is the one you were making before, when you were not giving your finances the attention they deserve! Another great piece of advice is to set up a debt tracking form to track existing debt amounts from month to month, as well as progress towards paying it off. Institutionalize the process by pledging to review and update the debt tracking sheet on the last day of every month. Being able to measure the impact of one’s strategy is just as important as setting up that strategy in the first place. I love the diet secret and fitness gadgets that they sell on late-night infomercials. Want to know the secret to losing weight? Caloric reduction. You really have to eat less. Same with debt. It’s that simple. “As important as your emergency fund is, you shouldnâ€™t overdo it.” In this economy I’m having just the hardest time convincing myself to pay down debt rather than save. I have the savings to pay down most of our credit cards in a lump sum, but with my husband having already lost his job and with major medical procedures on the horizon, I’m really hesitant to give up the security of three months of my salary in savings. I’d feel so foolish if I lost my job, too, and found myself available-credit-rich but unable to pay the mortgage for as long as it would take to sell the house. On the other hand, it just burns me up to pay finance charges on credit we don’t actually need: all the time I’ve spent on coupon hunting, all the delicate negotiating with service providers and vendors, is wiped out every month by my own hesitancy to pull the trigger and flush the debt away. We have not accumulated new debt in years and years and by most standards our DTI is quite healthy. It’s just such a worry in these uncertain times. This is a great post. Right to the point. The only addition I’d make is that it’s important to understand why you got into debt. You have to change those behaviors permanently before you can solve the problem. Great advice! Nothing is easy, but it is possible to get out. Even small steps make a difference . . . make a plan and attack your debts! Good solid advice. There’s nothing magical about it, just figure out where you’re at, stop doing whatever got you there to begin with, face your demons and start getting the monkey off your back. When people have a compulsion to spend money and medicate themselves with things, it’s difficult to turn that behavior around. The key is finding out what drives us in that direction, and fix that first and for good. 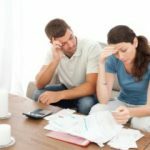 Having never been in “desperate debt,” I have a hard time relating to some of this; however, I have heard the power of working out some sort of settlement with your creditors. And often it works! Great post! I really enjoy how you put recognize the problem first. I think this is a step that is often overlooked by people. They want a quick result (like the ad) without really taking personal responsibility and addressing the core issues. I’ve been surprised that people have been able to pay down debt during this recession. Sure defaults are up and unemployment continues to rise, but people are managing to pay down debts. It’s the silver lining of the recession. That being said people who lived off cards for an upgraded lifestyle and now can’t even manage an appropriate lifestyle will continue to have difficulties. Good post.